The Amsterdam Fashion Academy is happy to invite you to visit its first world-inspired fashion show exhibition on Thursday, the 13th of December 2018 from 6:00pm to 9:00pm. Simultaneously, a lecture about branding will be offered by the creative boutique agency Mamma Soup. The fashion show exhibition and the lecture will be open to the public with no cost. Visitors will have the opportunity to meet students and lectures, beside exploring the works that the talented students have created during the last three months as part of the BA (Hons) Fashion Design, Fashion Foundation Diploma and Fast-Track Fashion Design & Business course. 23 students, coming from all corners of the world, chose to continue their studies and to gain professional skills in this private international fashion school situated in the heart of Amsterdam. The fashion show exhibition will include several pieces, such as jackets realised by the second-year BA (Hons) Fashion Design students, two dresses created by Emma and inspired by her childhood in Shanghai, two clothes by Tiffany, from Tokyo, inspired by a Parisian love story, a piece by Zhinia inspired by Iranian craftmanship and a piece from Olivia’s feminine collection inspired by Spanish culture and storytelling, among others. “We are very proud to host this fashion show exhibition in our elegant building and to give our students the opportunity to show their pieces to Amsterdam’s fashion community. It is important for them to meet and receive feedbacks from external people. During this semester we did our best to bring experts from the fashion industry in our exclusive academy in order to offer the students more learning opportunities”, says Iris Peitzmeier, Managing Director. “From Viktor & Rolf’s Masterclass and the jeans design competition for the Dubai’s market with Stefan Lohmann to guest lectures by London-based print designer Davinder Madaher, Paris Fashion Week designer Nasheli Juliana and former Calvin Klein Marketing Manager Sara Tugnolo, our semester has been very busy, and we are happy to show this to the public. I’m also glad to announce that the collection of our third-year students will be presented at Paris Fashion Show in March 5th and 6th”. 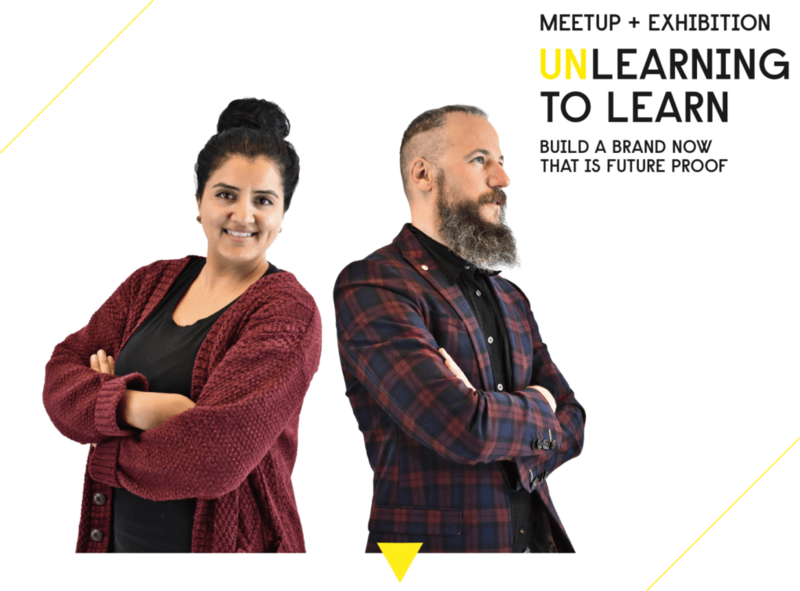 From 6:30pm to 7:30pm, Pepe Villaverde, Founder and Creative Director, and Milly Roy, Head of Marketing, from the creative agency Mamma Soup will offer the lecture “UNlearning to Learn: build a brand now that is future proof”. “We are programmed into a society of rights and wrongs. This directs us to make decisions and/or shy away from ideas constantly. This session will get you to challenge some ‘facts’ and opinions so you can get better at developing and creating communications and brands. Forget about the codes and rules and how things should be. Join us in order to know more and build a brand now that is future proof”, says Pepe Villaverde. Mamma Soup has spent 6 years of boosting lifestyle branding and developing global campaigns and digital strategies for brands such as Tommy Hilfiger, Adidas, Calvin Klein, Diesel and deBijenkorf. They have collaborated in internationally recognised projects for agencies such as JWT, DDB, Grey or StrawberryFrog achieving international awards and recognition. “This event is for free and everybody is more than welcome to join us at our international fashion academy in a friendly and cosy evening. You will meet our lecturers and students and we will offer you drinks and snacks. During this year we have met many interesting people at our evenings with several ideas and projects and we would like to invite all of you to come at the academy one more time for a toast to 2018 and to welcome the new year”, says Iris Peitzmeier.